Piper Networks provides innovative IoT and proximity solutions for Transit and Airport Authorities, Warehouses and Manufacturing Facilities, Smart Cities, Healthcare and other enterprises needing real-time location awareness and data capturing. Calculate precise train location data to manage fleets, increase throughput and accurately predict arrial/departure times for countdown clocks. Airports use beacons placed in taxis and shuttles, and BLE-sensing Gateways at drop-off / pick-up locations to detect vehicle presence, verify livery metering and increase non-aeronautical revenue. Reduce wasted time spent searching for assets, deliveries and equipment by using the online dashboard with dots-on-a-map interface. New UWB tags can locate assets to within 10cm. Track required nurse & staff rounding to attend residents & facilities. Passively verify rounding with automated check-ins at prescribed locations, provide alerts & reminders to minimize human error, eliminate paper logs, and provide evidence to resident families. Using proximity technology like Ultra Wide Band (UWB) and Bluetooth Low Energy (BLE), we help enterprises improve operations and increase revenue with asset tracking, fleet management, communication, security, environmental awareness and many other proximity-based solutions. Easily track, monitor and report the movement of assets in real-time with incredible granularity and reduce valuable wasted time spent searching for hard-to-find items. Track vehicle and rail assets with precise location data, increase throughput, broadcast arrival and departure times, assess compliance and performance, and reduce dependency on obsolete technology. 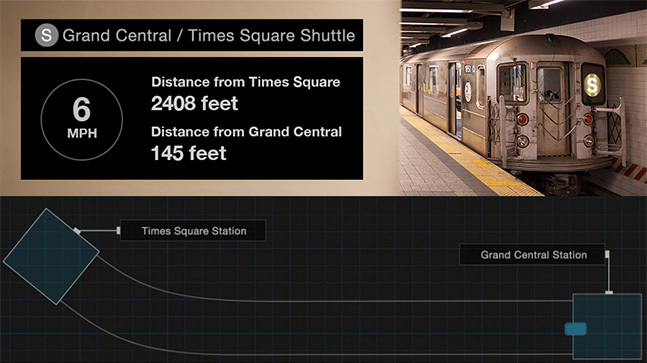 Monitor and locate workers as they move about tracks and buildings. Small wearable devices with piezo alarms and bright LEDs can alert them when trains are on track or if they enter restricted areas. Enhance security procedures by limiting access to restricted computers and information. Users can also be logged out of workstations once they leave proximity. Capture live data from components such as accelerometers, magnetometers, and environmental sensing modules for monitoring temperature, humidity, dangerous gases and more. Piper’s proprietary protocols, cloud-based platform and customizable devices allow for real-time data capturing in a variety of situations where accuracy and reliability are needed. UWB technology improves upon existing RTLS, geolocation, and Wi-Fi based services by providing greater precision down to 10cm. Signals delivered within milliseconds allow for true real-time analysis of asset movements and situational awareness. The operational distance of UWB outperforms other technology in congested RF environments with physical structures consisting of concrete and metal that may impede signal propagation. Piper’s proprietary protocols provide additional security of signals in sensitive environments. Piper can deliver high performance solutions using either Ultra-Wideband (UWB) or Bluetooth Low Energy (BLE) protocols. Choose from a variety of different form factors, weather casings and power options, or we can develop custom devices to meet your project’s specific requirements. Our sensors detect the movements, locations and status of tagged assets in real-time and communicate that data to the cloud. Generate real-time reports, dots-on-a-map, dwell time heat maps and other location information, which can be viewed in the Piper Online Dashboard or integrated with third party applications. Piper’s team of engineers and developers can create custom interfaces, mobile apps and integrations according to your requirements. Piper’s Enhanced Transit Location System powers a new rail and vehicle tracking solution that can finally meet the real-time location awareness requirements of sophisticated transportation authorities and their challenging environments. Our suite of proprietary proximity technology offers better performance than other RTLS like WiFi and RFID by providing greater granularity and accuracy to within 10cm, reduced signal latency, added security, and minimal multipath interference. This makes our ETLS solution ideal for performing in restrictive locations and congested RF environments like underground subway tunnels. 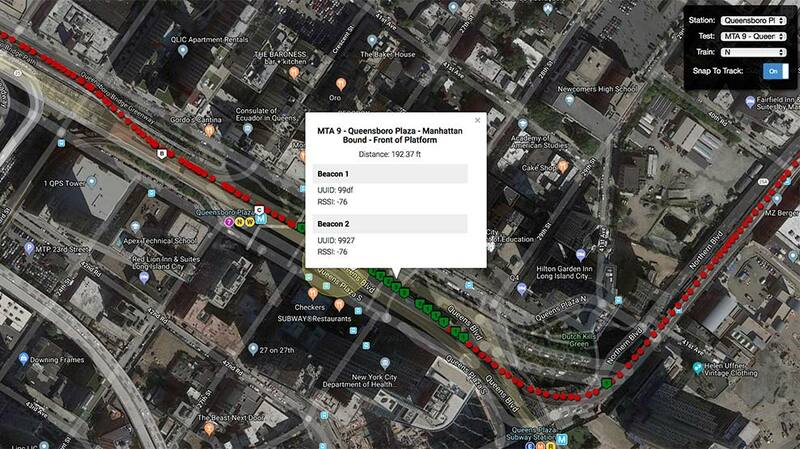 Piper is currently engaged in an ongoing project to assist Metropolitan Transit Authority (MTA) and the New York City Subway System with collecting real-time subway train location data. Using customized Ultra-Wideband and Bluetooth Low Energy technology installed on trains, in tunnels and underground stations, Piper aggregates a stream of real-time location data to help locate trains, predict arrivals and power countdown clocks. Piper’s RTLS solutions track the location and movement of vehicles, equipment, people and other objects that must be identified in real-time for various location awareness needs, including fleet management and livery metering. Airports increasingly need these solutions to be customized so that they can work consistently in challenging environments and deliver highly granular data.